There is something about food on sticks…..satay, corndog, popsicle, lollipops, cakepops and kabobs among other delectables on sticks. My personal favorite is a well-spiced kabobs. This recipe uses beef, but I have made a mental note to attempt a vegetarian version one of these days. 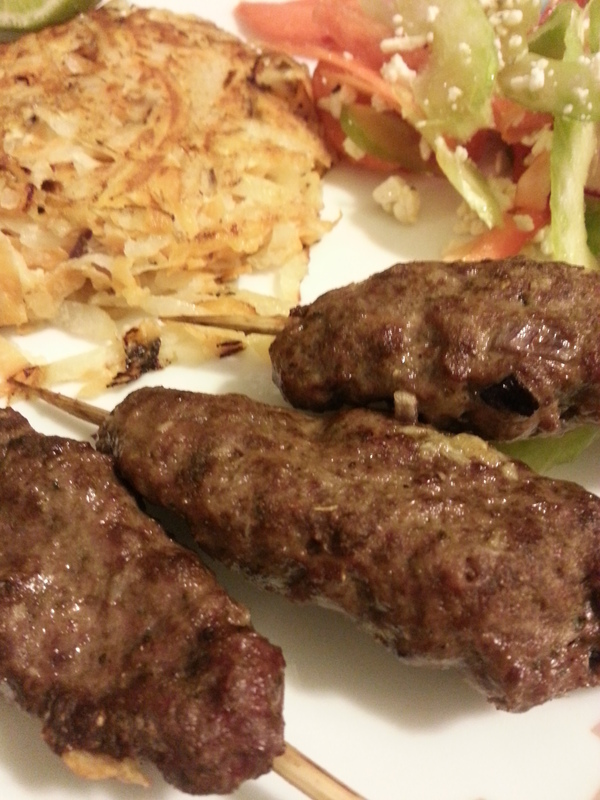 You find a version of these kabobs in several countries. Frequently lamb is used but not everyone in my family is a fan of that, so I opted for extra lean ground beef. A blend of coriander powder, cumin powder, cayenne, paprika, garlic, onions and mint lends an enjoyable blend of flavors without one note screaming out too loud. 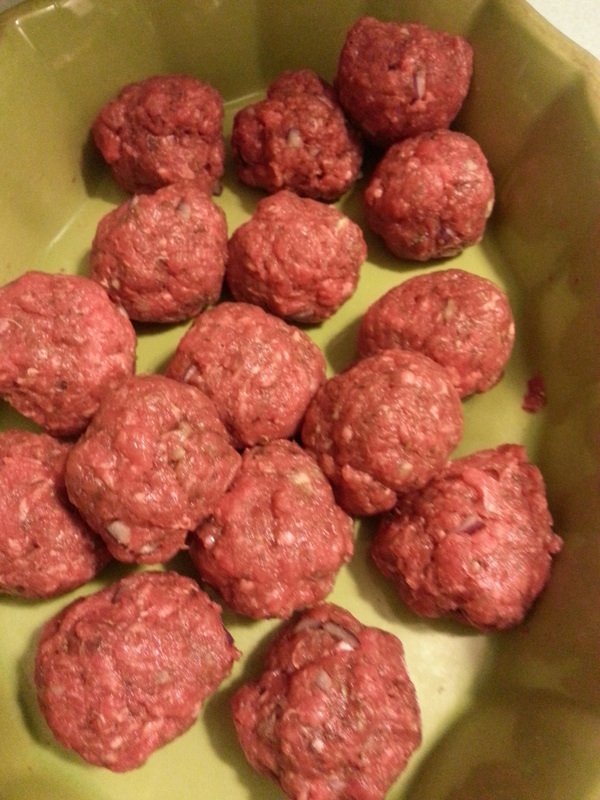 Lastly, using extra lean meat is an easy way to cut down on excess saturated fat from your meals. 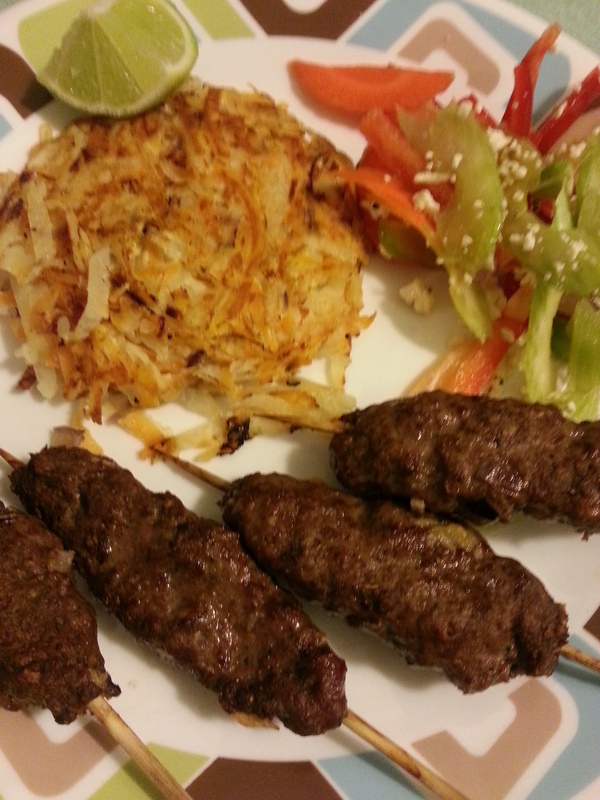 I must say even though I used 93% lean beef, the kabob was enjoyable with a dollop of plain yogurt. 1. Preheat the broiler at high setting. You can also grill the kabobs on an outdoor grill. 2. If using coriander seeds, grind them in a spice grinder or using mortar and pestle. 3. 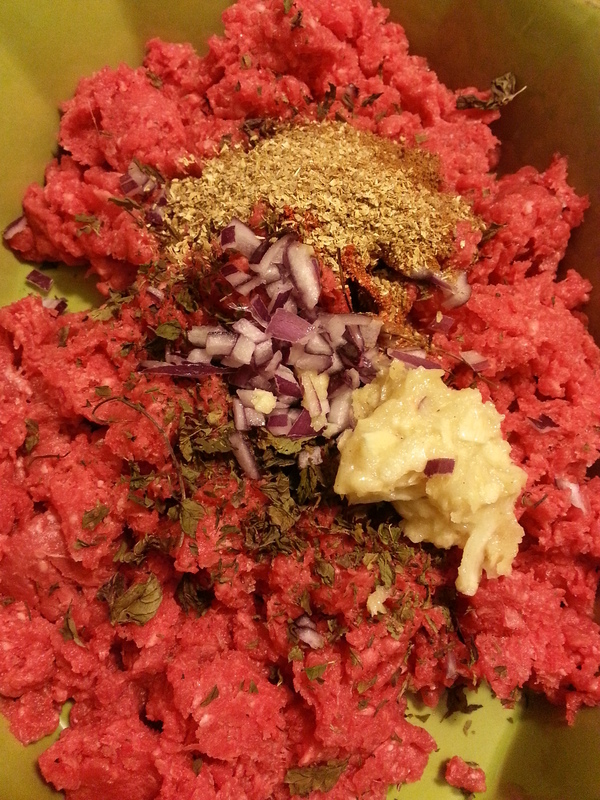 Add all seasonings to the meat and mix well. It works best to use your hands to really mix in all the spices and herbs. 4. 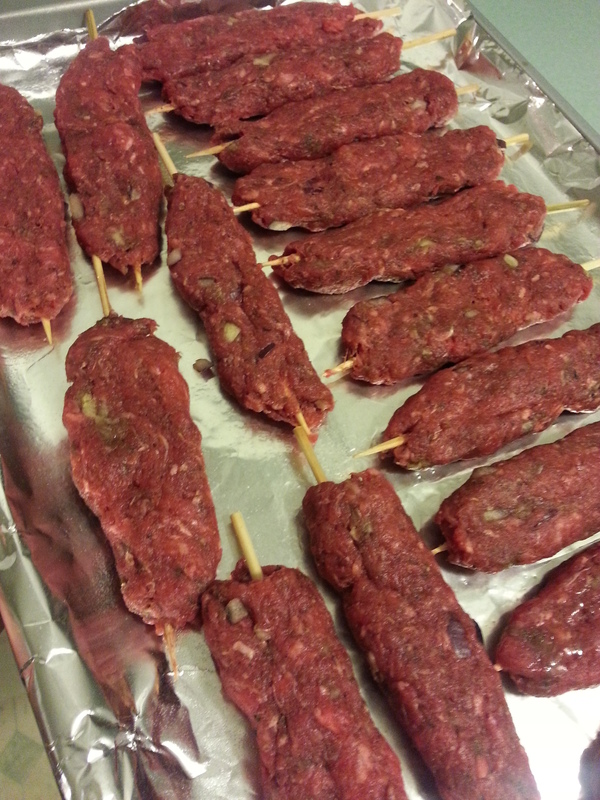 Divide the mixture into 12-14 equal portions and shape them around the pre-soaked skewers like a long kabob. 5. Line a baking tray lined with aluminum foil and spray with cooking spray. 6. Arrange the kabobs on the tray and broil for 12 minutes turning once. Spray with cooking spray after turning.